There are some artistes who are known by their body of work so much so that their images are so well etched in the minds and memories of the cine goers forever that they are eager to watch them, again and again, play different roles in different films. Devdatta Nage has left an imprint in the minds of the audiences with his role as Khanderai in the TV serial Jai Malhar which was on air on Zee Marathi and the audience s cannot just wait to lay their eyes on him in another film, especially since they have literally started worshipping him with adulation. The only question which kept on worrying them was what on earth Devdatta is doing after Jai Malhar. The answer is now ready. Devdatta is now all set to be seen in a different avatar in a film called “Chembur Naaka”. “Chembur Naaka” is being produced by Dr Seema Nitnaware and Devdatta Nage himself under the banner of Sakshi Vision Productions, with Nitish Pawar as the director. The poster launch of the film was held with great fanfare on Saturday 12th August, 2017 at J&K Banquets in the presence of the Hon. Shree Ramdasji Athawale, Goswami Shree Neeraj Kumarji Maharaj, Suvarnatai Dambale, cast and crew of the film. After creating a benchmark larger than life as Khanderai, in Jai Malhar, Devdatta Nage has agreed to be part of a different film like “Chembur Naaka”, though he has been turning down offers from different producers to be part of different films of a long time, waiting for a really different project to make his mark with. He is playing the role of Datta Nagre in “Chembur Naaka” as he wants to be associated with different films with subjects which are close to his heart. “Chembur Naaka” is full of action and emotions and the kind of a realistic film with which Devdatta wants to be associated with. Dr Seema Nitnaware has always been in the forefront of social service and has earlier made short films ‘Umeed’, ‘Mukti’. Right now, besides “Chembur Naaka”, she is also busy making two more feature films in Marathi, which are different from the rest and not stereo typical. Nitesh Pawar, after the award winning “Sopan” has now tried his hand at making yet another issue based film. The story is by Nitesh and Samad Khan while the screenplay and dialogues are by Nitesh and Bipin Dhaigude. Lyrics written by Guru Thakur have been composed music by Amit Raj. 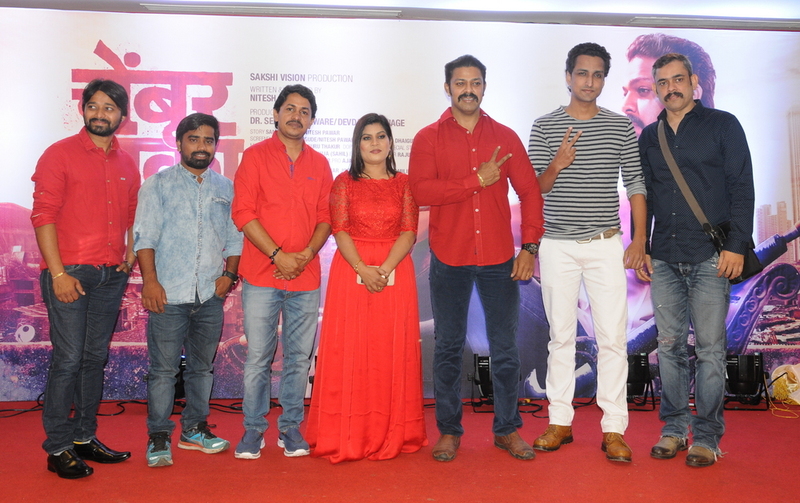 Besides Devdatta, the film also stars Usha Nadkarni, Vidyadhar Joshi, Milind Shinde and Dhananjay Polade. Sanket Shah is the DOP while Siddhika Sawant is the makeup artist. 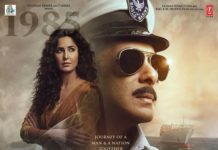 Costumes are by Santosh Gilbile while Devendra Tawde is the art director and Raju Zende is the production Manager of the film. Next articleToilet – Ek Prem Katha!